Monument were engaged to provide project management services for the client during the pre contract period which involved working with the appointed design team. Monument successfully managed the planning process, development of the technical design and tender process leading to the appointment of preferred civil engineering and building contractors. Working with the selected contractors, Monument provided contract administration services to successfully deliver the project to the agreed programme, cost and quality requirements. 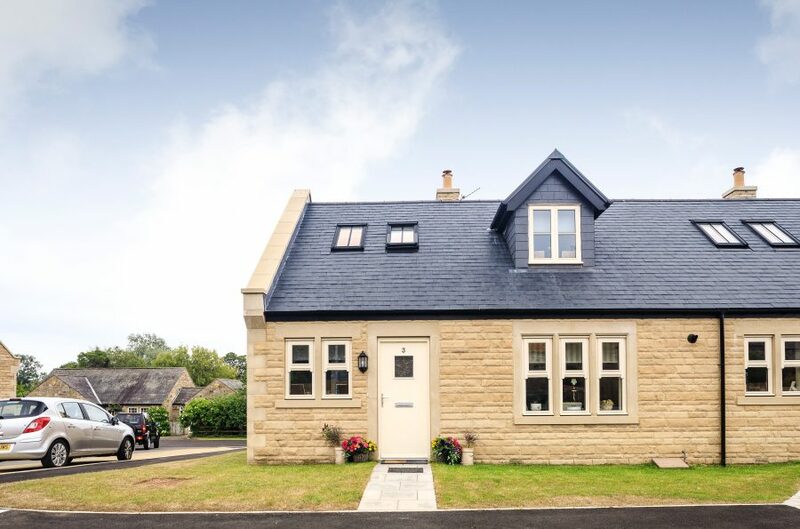 The development of the 8 stone built homes within the heart of a small village community was a challenge given the limited site area and the close proximity to established homes. Monument implemented a Change Control Procedure to ensure that any variation in time, cost or quality was reported to the client in advance and appraised / approved prior to the works being carried out. This ensured that the client had an immediate appraisal of the likely final cost and programme throughout the full duration of the works. Monument quickly developed relationships with the residents and actively promoted stakeholder communication. The aim was to ensure that not only the impact of the works was minimised but also the levels of communication were effective to ensure that all residents were informed of works affecting their properties well before key events took place. Impact on local residents was minimised and no formal complaints were received by the client during the course of the works despite the restricted site and intensive workload. During the construction of 8 residential properties in Lesbury Village, Monument provided an invaluable and highly professional service in managing the project. With their support and attention to detail throughout the tender and build process, we were able to ensure that the project ran to time and was completed within budget, allowing us to create much needed accommodation for elderly tenants and pensioners on the Estate where attention to detail was paramount. I am delighted with the final result. Get in touch to find out more about our consultancy and planning services.